Drawings of the little things in life. 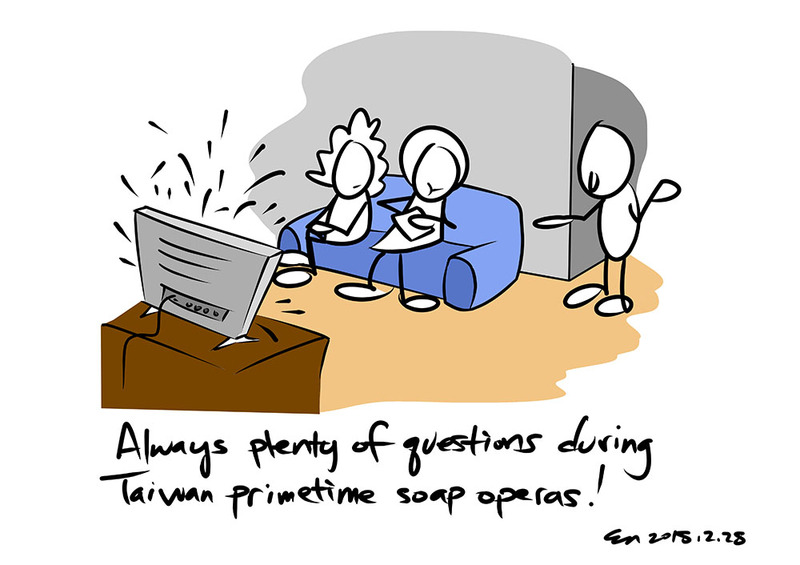 Always plenty of questions during Taiwan primetime soap operas! 八點檔時總是會有一些必須問的問題.